DO YOU WANT TO KNOW SOMETHING ELSE ABOUT US? If you want to know something else about us then you definitely have to come to our boat. 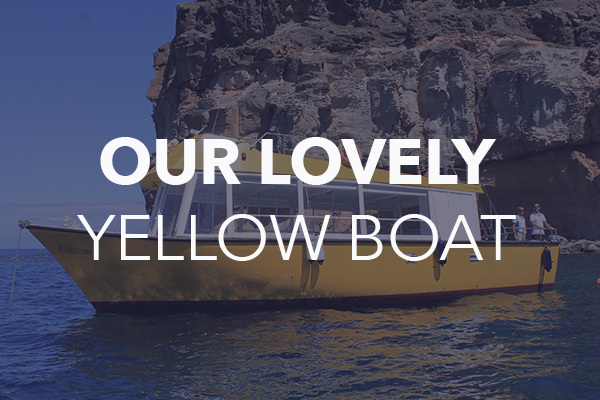 The best way to know us is to spend 3 hours with us on board of our Yellow Boat. We’ll make sure to give you an unforgettable moment during your holidays. 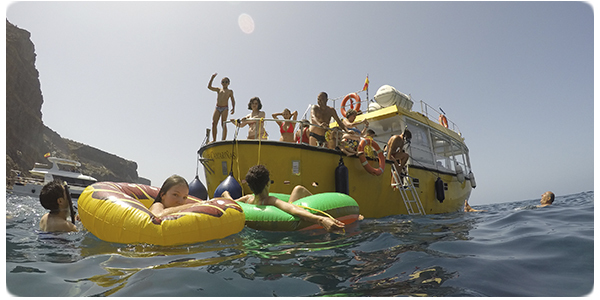 You can check all our boat trip packages here. 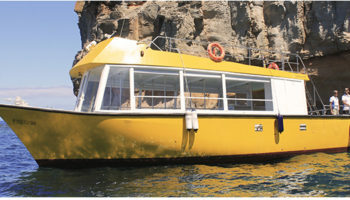 YELLOW BOAT MOGÁN, has a capacity for 30 passengers. 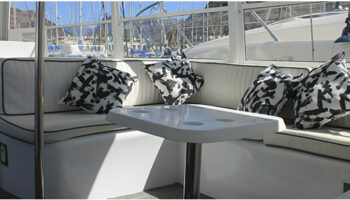 The boat has two decks and a solarium area of 35m². 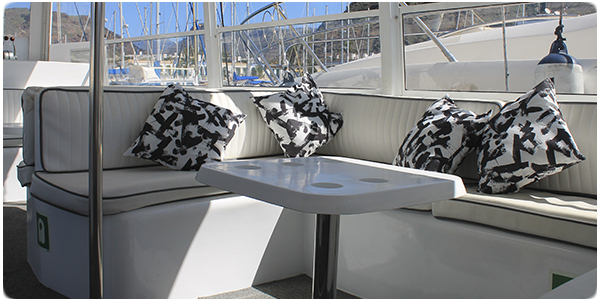 The upper deck is a diaphanous space where you can enjoy the sun and the sea breeze, characteristics of the area as well as fantastic views of the sea. 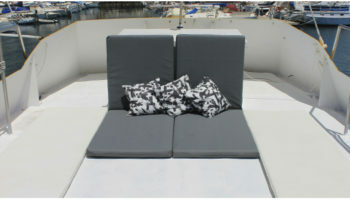 On board you will find cushions and “mats” which you can use to feel more comfortable and enjoy the journey. The main deck has two zones. Indoor area: Chill-out sofas, tables and large windows allows you to enjoy the views while protect you from the sun and the wind. 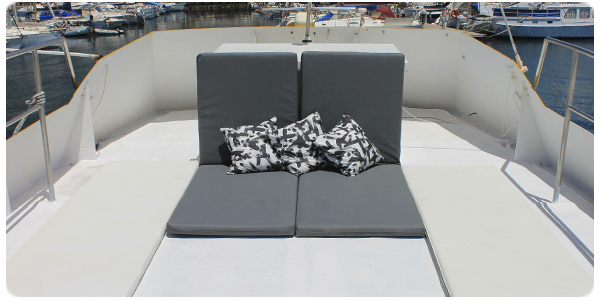 Outdoor area: It has a sofa area where you can enjoy a nice sea breeze while you bask the sun. All the necessary safety equipment checked regularly. 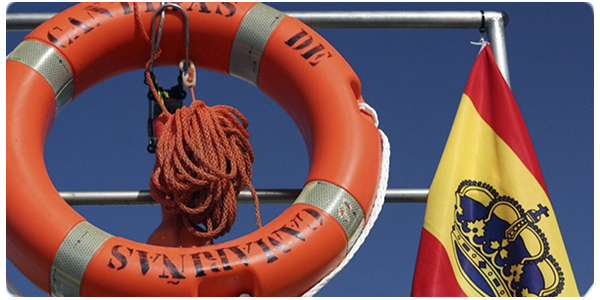 After a several years as a Diving Instructor and with a lot of experience in the sea, Marta has become the skipper of the Yellow Boat Mogán. With her experience and her professionalism, the tours are unforgettable. 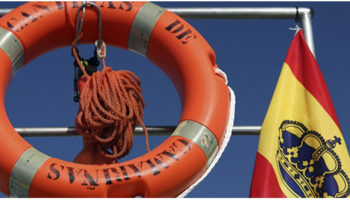 Languages: Spanish, English and Catalan. 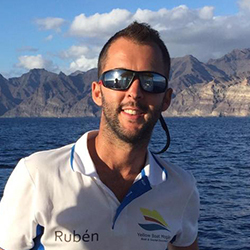 With an overwhelming personality, Rubén is the best guide you can find on an excursion. 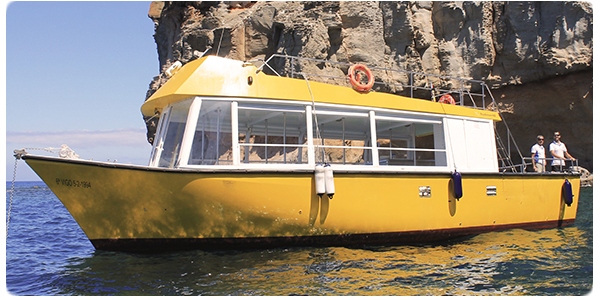 This Andalusian will make you laugh, and aboard the yellow boat will give you incredible memories.